Because God has done for our good the greatest that is conceivable, will He not therefore provide all the other blessings we need? “He who did not spare His own Son.” God gave His very best for us while we were yet depraved sinners (Romans 5:8). God the Father is the One who gave up His Son for sinners. “His own Son” means that there is no other person who stands in this same relationship to the Father. Jesus called “God His own Father, making Himself equal with God” (John 5:18; cf. 14:10). God has many sons by adoption. But the Scripture allows no confusion to exist between the sonship of the only begotten and the sonship of the adopted. 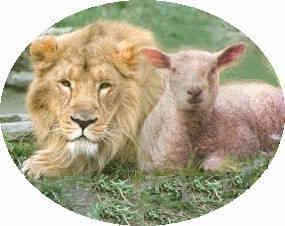 It is the Father’s own genuine Son as opposed to an adopted son such as believers that is in view. There is no other person who stands in such a high relationship to God the Father. God the Father did not spare His own Son the sufferings inflicted. He did not withhold or lighten one bit the suffering, but inflicted the full punishment of judgment upon His well beloved and only begotten Son. God did not prevent His Son from suffering the death as the sinner’s substitute. He fulfilled His own prophetic word in Isaiah 53. Because God “spared Him not,” He therefore “delivered Him up for us all.” Christ was made sin for us (2 Cor. 5:21), and He became a curse for us (Gal. 3:13). The Father delivered the Savior to the damnation and abandonment demanded by the law. “The wages of sin is death” (Rom. 8:23). Nothing was spared in the punishment inflicted upon Christ. The wrath of God was exhausted on Him. God delivered Christ up for us all. For whom did Jesus die? The apostle says, “for us all.” It was a vicarious death. It was for us Jesus was delivered up. The contest in this passage speaks of those who were foreknown predestined, called, justified, and glorified. “They are God’s elect (v. 33), those on behalf of whom Christ makes intercession (v.34), those who can never be separated from the love of Christ (vv. 35, 39). Christ was delivered up “for all of us” who belong to the category in versus 1, 28-30. Our substitute died for us and made atonement for our sins. Only in the believer does the atonement become personally and savingly effective. God saved us by His grace, and He continues to sustain us by His grace. He gives freely and graciously out of His grace. Everything needed in securing our glorification will be freely and completely bestowed in God’s grace. How could God possibly fail to glorify the believer who has been justified by faith when He has already given His unspeakable and incomparable gift of His only Son? Christ is God! Every other grace and blessing depends upon your possession of Him. Is He in possession of you? Are you making yourself available to Him?